AN style rod wipers are designed to ensure proper fit with all MS-28776 (MS-33675) dash size grooves. 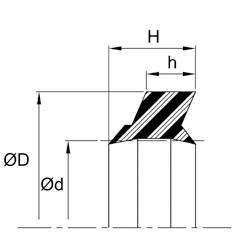 The slotted heel design (when available) prevents pressure traps from forming between the rod seal and wiper. 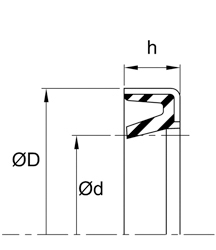 This profile of wiper requires very little radial or axial space. 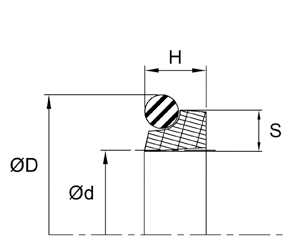 This is why they are ideal in light to medium duty hydraulic and pneumatic applications where such space constraints are present. D profile wipers are an outstanding choice for light and medium duty hydraulic and pneumatic applications. 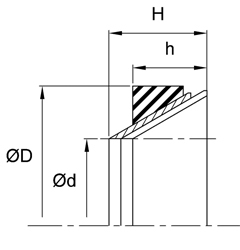 The slotted heel (when available) design prevents pressure traps from forming between the rod seal and wiper. 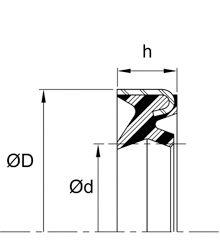 Broad tooling availability, up to 30”, makes the D a good choice for large rod diameters. The snap-in design is oversized for a snug fit and excellent stability. This makes the D a great all-round wiper in an economical package. 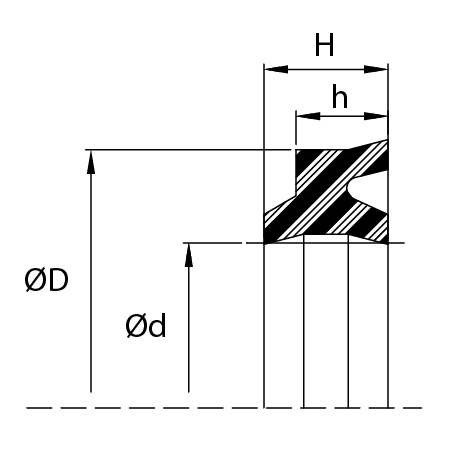 H profile wipers are double-lip excluders sharing identical geometries for combining the actions of rod sealing and wiping. H wipers, available in plastic compounds, are intended for medium pressure hydraulic applications as a redundant rod seal or for low pressure systems as the sole rod seal and wiper. K wipers offer a unique, light-load contact lip on both the sealing and wiping lips, making these excluders suitable for light duty industrial hydraulic applications. 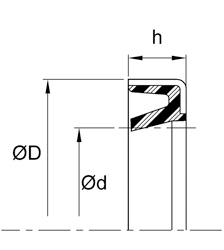 they are most commonly used in conjunction with rod seals to provide a redundant film-breaking lip. D & K is an economical wiper made from 70 Nitrile can be offered to users of both pneumatic and hydraulic equipment. A length of wiper strip is cut to the circumference of the rod and inserted in the recess to form the wiper and keep out foreign material. The simplicity of the design plus the fact that the wiper will not cause scoring makes it very popular. EX1 Rod Wiper is comprised of a scraper element made of PTFE/Bronze and an O-ring as a loader ring. 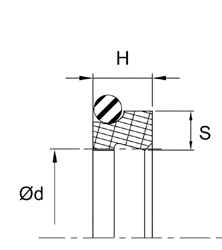 The scraping function is performed by the PTFE element while the O-ring guarantees that the scraper lip presses against the sliding surface uniformly. EX5 Rod Wiper are double-lips scraper with asymmetrical lips installed one behind the other. EX5 wiper are installed with an elastomeric O-ring in a single groove. While the EX5 ring does the scraping duties, the O-ring insures a positive pressure on the sliding surface to compensate for any deflection or misalignment of the rod. BW/S metal scrapers are used to remove the toughest, most abrasive contaminants that may adhere to cylinder rods, including ice, adhesives, coatings and other potentially damaging materials. By using rubber, energizing elements behind the dual-contact scrapers, the BW/S scrapers provide the best possible removal of stubborn contaminants. J Rod Wipers are molded from urethane and encased in a heavy-duty metal case. 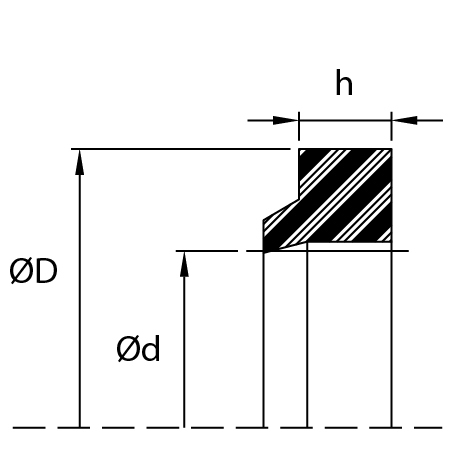 The press-fit installation guards against O.D. 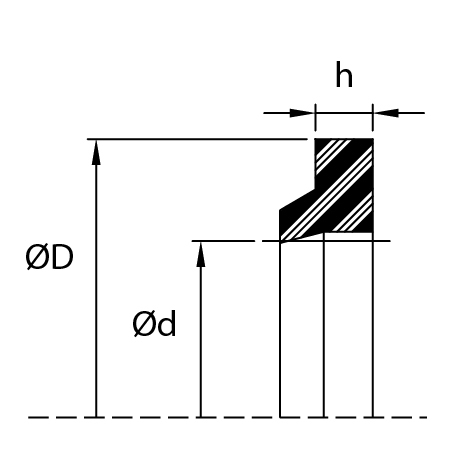 contamination and requires simple counter-bore machining. The wiping lip gives them exceptional abrasion resistance and outstanding endurance under difficult operating conditions. They are highly effective in removing dust, mud and moisture from the rod. J/N Rod Wiper is a more economical version of the J-Series, the J/N combines the durability of the metal case and the simple groove machining dimensions with a Nitrile (NBR) wiping lip. It is typically supplied in more compact dimensions than standard urethane metal clad wipers. J/DL Rod Wiper is a high performance wiper used in the toughest applications. The wiping edge removes the dirt and grime from the rod, thereby keeping the system running clean and at its peak performance. A secondary sealing edge prevents residual oil film from escaping, helping the system achieve zero leakage performance.